Community Partnerships for a Tobacco-Free New York are funded by the New York State Tobacco Control Program. We educate community leaders and the public about the dangers and social costs of tobacco, and we engage local stakeholders to adopt policies that will restrict tobacco industry presence, de-normalize tobacco use and eliminate secondhand smoke. 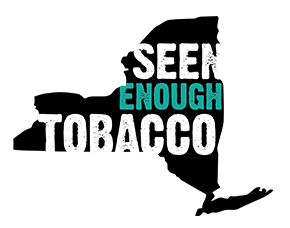 If you'd like to get in touch with us about our initiatives to reduce in-store marketing, please contact your local Advancing Tobacco Free Communities partner.